Astrophotography - Pictures of the night sky. Click to enlarge. 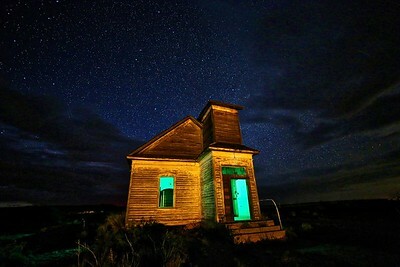 A nearly 100 year old abandoned Sears House (yes, you used to be able to buy a house from Sears and assemble it yourself) underneath the Milky Way. 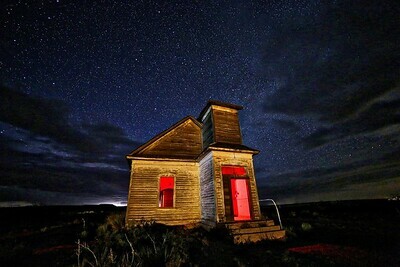 The abandoned Taiban Church under the stars. The Alien Throne in the Ah-Shi-Sle-Pah Wilderness of New Mexico. The landscape here appears to be something from a sci-fi movie set. 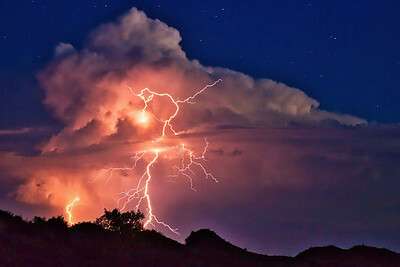 Mother Nature put on a show with this thunderstorm outside Roswell, NM. 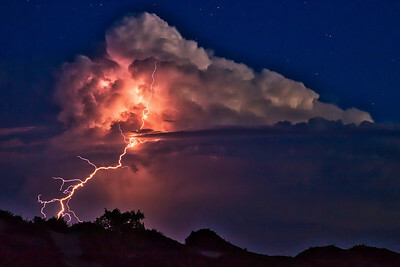 The sheer power is stunning. 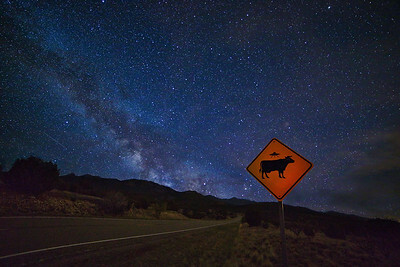 Only in New Mexico do you find signs like this on rural highways. And yes, the sign is real. Remember - we are not alone. 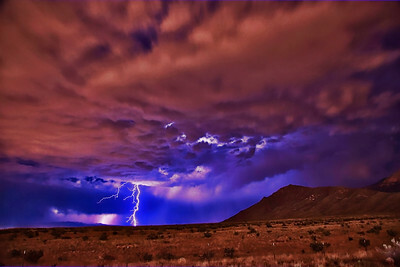 Nice monsoon storm outside of Albuquerque, NM, Aug '18. 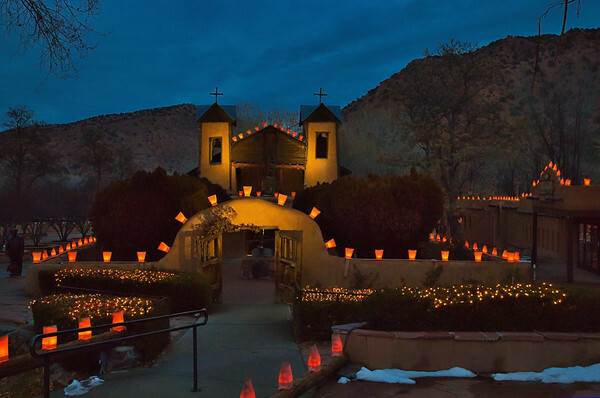 Enchanted Mesa rises above the desert and seems to reach the stars. 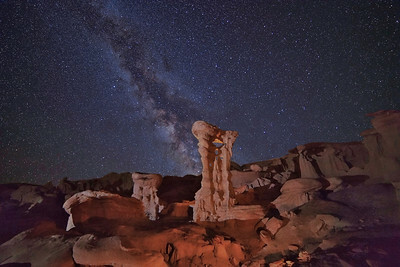 Enchanted Mesa, on the Acoma Reservation, is illuminated as the Milky Way shines bright. 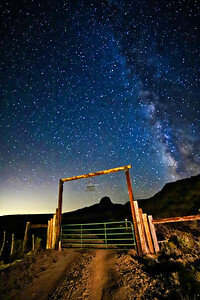 A ranch gate outlines Cabezon Peak which rises almost 1100' above the ground in the NM desert as the Milky Way shines above. 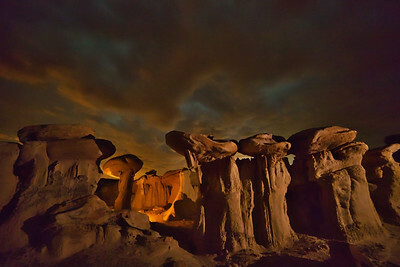 More Hoodoos in the Bisti Badlands (also known as the De-Na-Zin Wilderness) in New Mexico. The clouds weren't cooperating as they were hiding the stars. 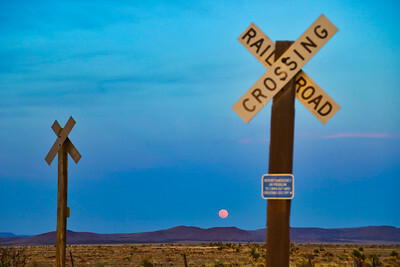 The Full Moon rising over a lonely railroad crossing in the New Mexico desert. 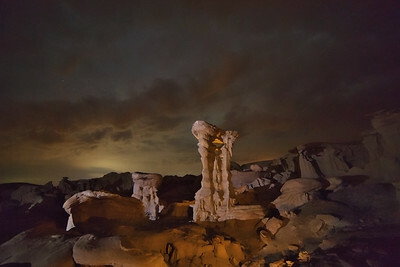 The Alien Throne in the Bisti Badlands of New Mexico. The landscape here looks like something out of a sci-fi movie. The clouds were covering up the stars this evening but I still like how this pic turned out. 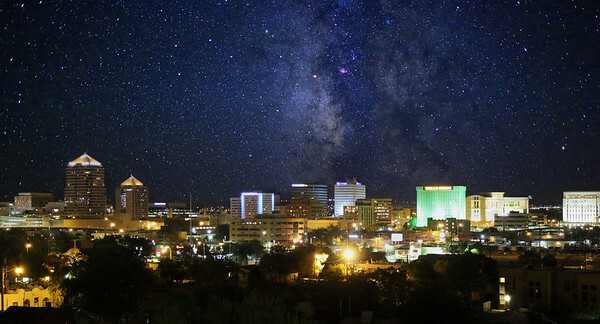 The Albuquerque skyline shines underneath the Milky Way in this composite image. Light pollution keeps the majority of Americans from being able to view the night sky in great detail, get out and away from the city when you can and look up! Shooting the night sky on a lonely highway and decided to turn towards the road and take the picture as a semi-trailer drove by. His lights made for an interesting effect. 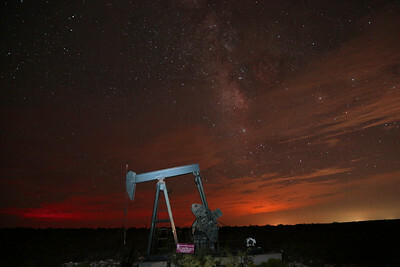 A pump jack pumps oil in the Permian Basin. With so many clouds that evening I didn't think I'd get any good star shots but the clouds reflected the nearby town lights and made for an interesting effect and parted just enough to show the core of the Milky Way. The core of the Milky Way shines bright. 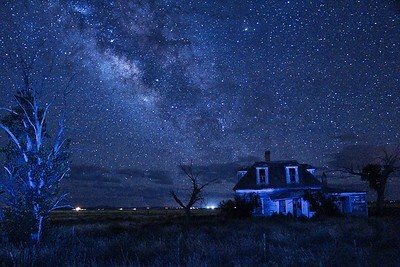 The night sky can fill you with wonder if you get away from the City and watch the night sky. 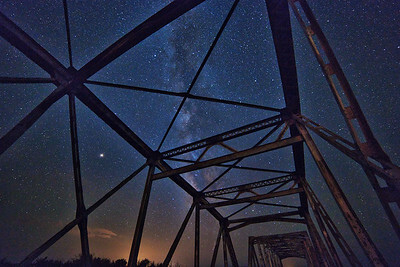 Staring up through the old Hwy 60 Rio Puerco Bridge in rural New Mexico at the Milky Way. Another shot from the monsoon storm outside Roswell, NM. 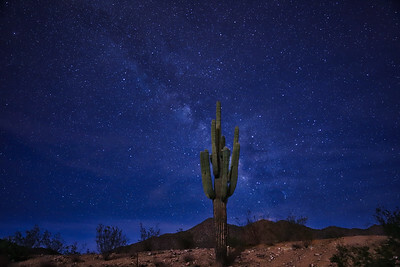 A lonely saguaro cactus stands tall and proud underneath the Milky Way in Arizona outside Phoenix. 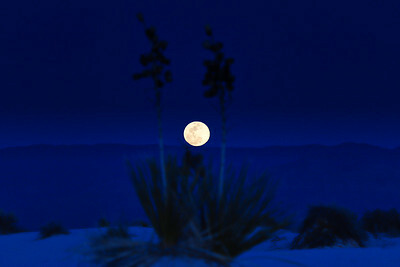 The Full Moon has now risen over the mountains on the horizon and darkness has settled over White Sands National Monument in NM.